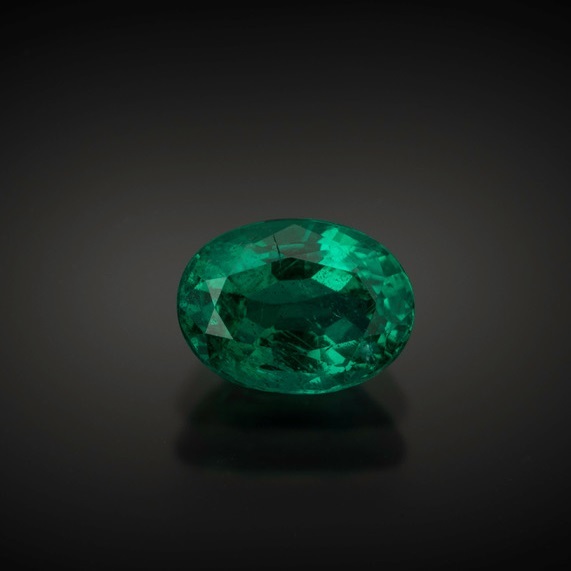 If emerald is your birthstone, you already know it is one of the most expensive varieties of gemstones. Finding a combination of clean and intensely colored material is one of the most difficult searches in the gem world. So what do you do if you love the color of emeralds and want to wear something close to it? 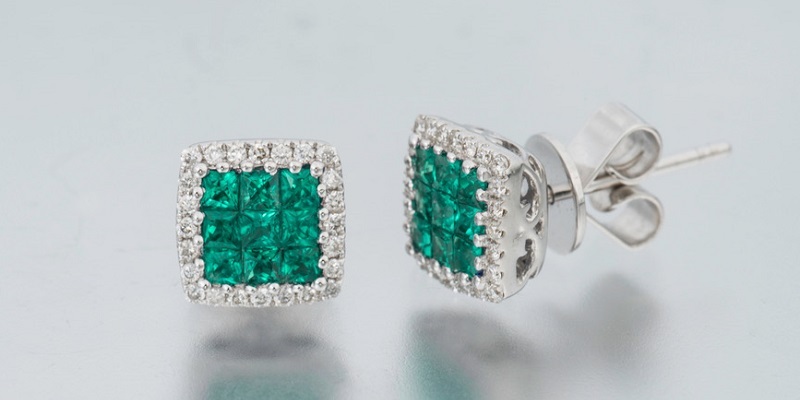 ABOVE: Small, bright, vividly colored emeralds give these earrings more punch when they are clustered together in squares of nine. Photo by Mia Dixon, courtesy The Collector Fine Jewelry. The obvious choice is to choose a light-colored green beryl. Emerald is part of the beryl family and it is possible to find lovely, light-colored “emeralds” that are really better called green beryl. Some gemstones are close–but there is nothing quite like the green of emeralds, such as this 1.83 ct. oval Zambian stone. Photo by Mia Dixon, courtesy Pala International. Or, you can go for something entirely different. How about a green tourmaline? The tourmaline family produces some of the most beautiful and most wearable gemstones. Though tourmaline comes in a variety of colors, probably the best known is green. 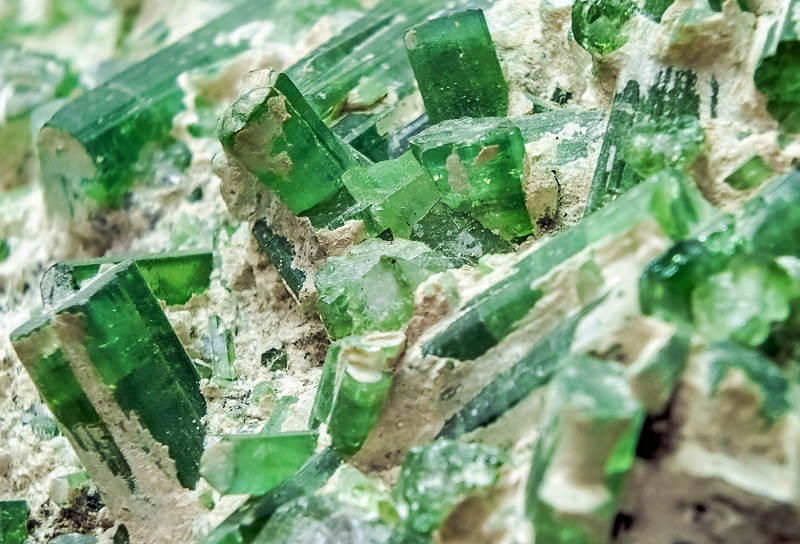 Without all the internal fractures emeralds have, green tourmalines are tough and durable. They are hard: 7 on the Mohs Hardness Scale. Naturally grown green tourmaline crystals; photo: Getty Images. Green tourmaline a different color than emerald (almost everything is). It is commonly yellowish-green. The color tone can range from very light and pale, to a dark green that is almost black. Chrome green tourmalines are less yellowish and may be brighter in color. 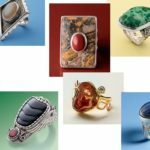 The icing on the birthstone cake, however, is that green tourmalines are much less expensive than emeralds. So if you love the green of your birthstone but can’t afford the price, take a look at green tourmalines for a refreshing taste of spring.